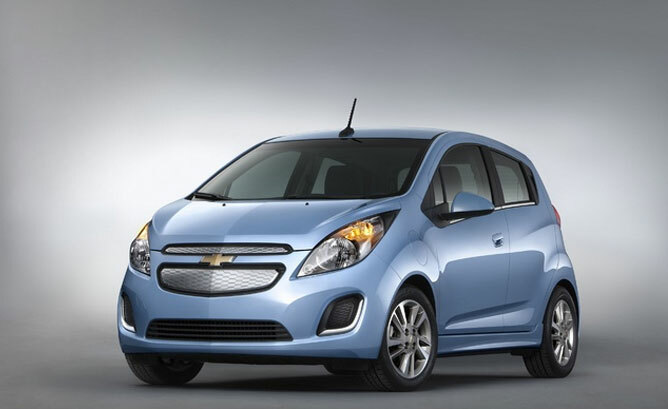 Officially rolled out at the International Auto Show on November 28th 2012, GM is getting ready for the launch of the Chevy Spark EV. Since this is GMs first all electric vehicle, there are lots of eggs in one basket. Spark EV Chief Engineer Chuck Russell said they set out to develop a system for the Spark EV that would be fun to drive while having maximum efficiency. What they came up with is a seamless system and power that’s available at every stage of the drive. The Chevy Spark EV’s electric motor is a permanent magnet, oil cooled unit that will produce 130 horsepower and provide about 400 lb-ft of torque. That should give the Spark EV a 0-60 mph time of less than 8 seconds. The battery pack is a 20 kwh battery pack with 336 prismatic cells and just like the Ford C-max Energi, Ford Focus Electric, Honda Fit EV and other electric vehicles, the battery pack will be made up of lithium ion metals using Nanophosphate chemistry. “Spark EV’s battery has undergone more than 200,000 hours of testing in our global battery systems labs,” said Larry Nitz, executive director of GM’s global electrification engineering team. According to Larry, this testing paved the way to allow Spark EV customers to use the recently approved SAE combo charger that can recharge up to 80 percent battery capacity in as little as 20 minutes. The GM Spark EV team was able to reduce development cost and time by using up to 75% of the propulsion system components also found in the Chevy Volt. The Spark EV will go on sale next year as a 2014 model year vehicle.